Welcome to The Dancing Word! Do you have a sense that body and spirit are connected? Would you like to explore and celebrate this connection? Welcome to The Dancing Word, the website of Betsey Beckman. Here, I offer resources, images, classes, prayer videos and publications to foster connections between body and spirit, tradition and creativity, scripture, dance and life. As you navigate this website, click on About to learn more about my background in the fields of dance, liturgy, InterPlay, therapy and spiritual direction. Click on Calendar to view upcoming performances, classes and workshop opportunities, and my newest offering – Pilgrimage to the Holy Land! Click on Abbey of the Arts to learn about my ongoing collaborations with Christine Valters Painter and the Holy Disorder of Dancing Monks! Click on Ministry to learn about the Liturgical Dance/Movement Ministry I direct at St. Patrick’s Church. Click on Spiritual Direction to learn more about Dancing Spiritual Direction, a practice in which I meet with individuals, engaging the art of dance as a tool for self-discovery and prayer. Click on Portfolio to view articles and video clips of performances and visit Store for a range of publications on spirituality and embodiment, including DVDs, CDs and books for inspiration and support. And for keeping most up to date, please click on our link to Facebook, where you can “like” The Dancing Word page. There you will find photos and videos from all my most recent dancing adventures! Our 2015 DVD release: Dancing with Monks and Mystics! Dancing with Monks and Mystics is a fabulous dance-along resource commissioned by Abbey of the Arts and inspired by 12 different monks and mystics throughout the ages including: Prophet Miriam, King David, Mary Mother of God, Brigid of Kildare, Francis of Assisi, Thomas Merton and Dorothy Day. 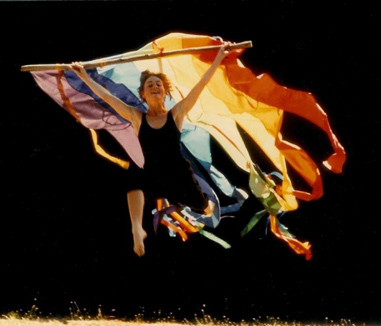 The DVD features a welcome/introduction plus twelve prayerful and playful participatory dances for every-body! Choreography and instruction by Betsey Beckman. Filmed in locations that evoke and celebrate the gift of each monk and mystic. You, too, can become a dancing mystic! You may also be interested in the accompanying CD, Singing with Monks and Mystics. To purchase Monks and Mystics material, please click here. My Most Beloved Storydance On DVD! Includes dramatic interpretation of “The Creation” (a beloved poem by James Weldon Johnson) as well as a 40 minute movement workshop for participation and renewal! Grace on the Margins is a social justice musical commissioned for the Northwest Women’s Convocation in 2013. The full-length drama is available as script (to be performed by your organization) or DVD for inspiration and contemplation. I was on the team of 10 artists that developed this spirited theater piece and am proud to share the experience with you! co-authored with Christine Valters Paintner, PhD. Sharing the Ministry of Movement through the artistry of Betsey Beckman. 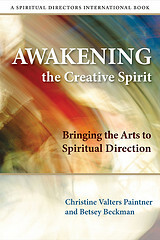 Resources for Embodied Prayer, Liturgical Dance and the Arts in Spiritual Direction. Click here to email Betsey!